Businesses across Bury St Edmunds are putting up bunting and flags as they prepare to celebrate St Edmund’s Day on Tuesday November 20. And this year the focus of the We Love Bury St Edmunds! group, which showcases the town online and on social media, is to raise the profile of businesses in the town who get into the St Edmund’s Day spirit. James Sheen from We Love Bury St Edmunds! 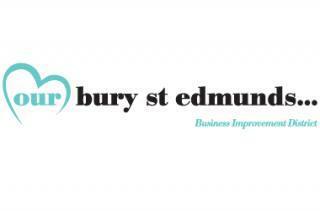 said: “Once again we are working in partnership with the Business Improvement District (BID) organisation Our Bury St Edmunds to show how proud we are to live and work here in the town that is named after the country’s first Patron Saint. The bunting and flags are being offered free to businesses to display from November 16 until after the close of the Christmas Fayre and have been purchased by Our Bury St Edmunds, with support from the Town Council. Our Bury St Edmunds Chief Executive Mark Cordell said: “In the past we have helped our businesses celebrate St George’s Day but St Edmund’s Day is rightfully the more important day in this town and the hard work of We Love Bury St Edmunds! in raising the profile of St Edmund is fantastic. By keeping the bunting and flags in place until after the Christmas Fayre it’s an opportunity to show the many thousands of visitors how important our town’s namesake is. We Love Bury St Edmunds! will be running a special photograph promotion event on Saturday November 17 with the participating businesses as they race to publish the celebratory pictures. Full details are available via their website.